The Biggest and Best from Case IH is the Steiger tractors with patented Selective Catalytic Reduction (SCR) technology, set new industry records for fuel-efficient power. The newest Steiger family includes seven models ranging from 370 to 620 horsepower to choose from with both track and wheel configurations. What do you do with a line of machines with a history of industry records, including the world’s most powerful tractor, innovative design and engineering, unmatched fuel efficiency, and a proven record of performance? If you’re Case IH, you find ways to make them even better. That’s what drives the new Steiger tractors model year 2015 enhancements such as AFS connect 2.0, increased efficiency, enhanced hydraulic flow capabilities and improved cab comfort. 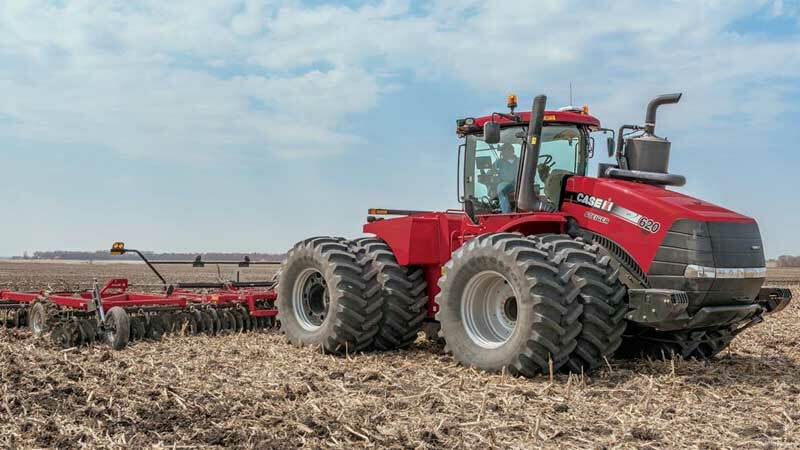 The Steiger Row Crop productivity 370, 420 and 470 maintain the heavier, thicker steel frame with the larger wheel base of the larger Steiger tractors, but are built with a narrower frame width for row-crop farmers. With Four independent positive drive tracks available on the Steiger 370, 420 470, 500, 540, 580 and 620. The Steiger Quadtrac has four individually driven, oscillating tracks that reduce compaction and provides better floatation and traction in the field. This tractor has everything you need for your larger applications.